On March 25, 2019, CMPD officers responded to 911 calls about an armed man at a Burger King on Beatties Ford Rd. After arriving, officers encountered Danquirs Franklin in the parking lot. CMPD says Franklin was armed and officers told him repeatedly to drop his gun. According to CMPD, Officer Wende Kerl "perceived a lethal threat" and fired her weapon, hitting Franklin. Franklin was transported to the hospital where he later died. Activists say the Charlotte-Mecklenburg police officer who shot and killed 27-year-old Danquirs Franklin in March must face charges, and are calling on police and others in power to initiate long overdue cultural changes. 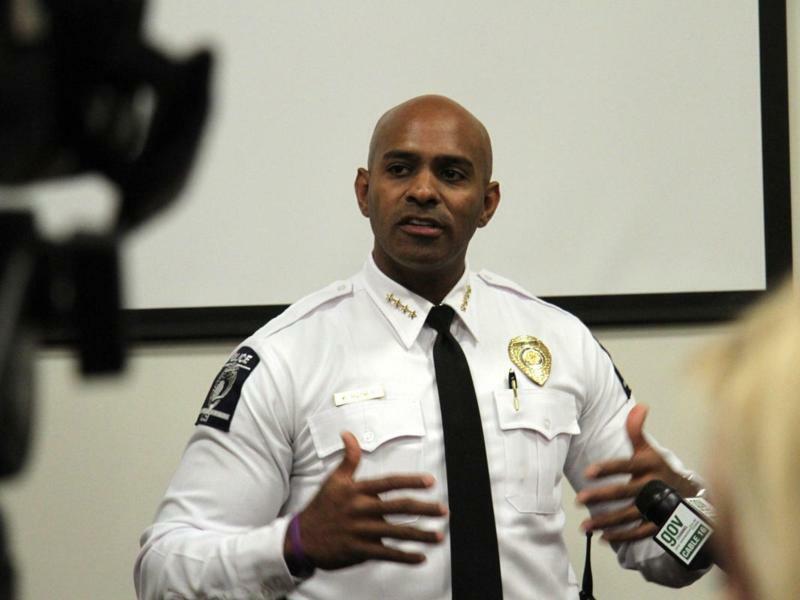 Tuesday night Charlotte Mecklenburg Police Chief Kerr Putney met with members of the public not to talk at people, but to listen. Charlotte Mayor Vi Lyles speaks with WFAE's Lisa Worf following the release of body-cam footage showing a CMPD officer shooting Danquirs Franklin March 25. CMPD on Monday released body-cam video in the fatal shooting of Danquirs Franklin, 27, outside a Burger King on Beatties Ford on March 25. 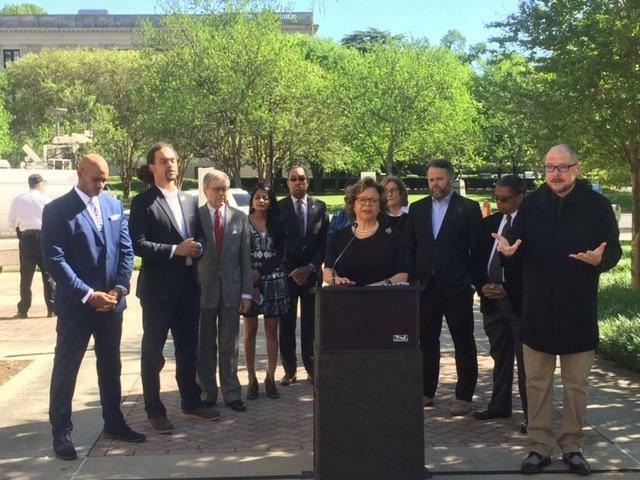 Charlotte Mayor Vi Lyles joined WFAE's Lisa Worf to offer her reactions to seeing the video. Protesters outraged over video of fatal police shooting of African-American man. NAACP local president wants charges brought against the officer. Numerous rallies and gatherings were held across Charlotte after video was released Monday of the fatal police shooting of 27-year-old Danquirs Franklin last month. Many believe the video shows Franklin was appearing to drop his gun as ordered, just before he was shot. At Marshall Park about 100 people attended a rally to show their outrage over the shooting. Protesters gathered peacefully around Charlotte Monday night in response to the body-cam video CMPD released earlier in the day, capturing the fatal police shooting of 27-year-old Danquirs Franklin. Monday, the Charlotte Mecklenburg Police Department released body-camera video from an officer involved shooting from about three weeks ago. The shooting occurred in a Burger King parking lot in west Charlotte. Officer Wende Kerl , a white police officer, encountered 27-year-old Danquris Franklin, a black man. CMPD says Officer Kerl perceived a lethal threat when she fatally shot Franklin. A Burger King off Beatties Ford Road in north Charlotte remained closed Tuesday morning, a day after a Charlotte-Mecklenburg police officer fatally shot a 27-year-old man in the restaurant's parking lot. Monday evening, demonstrators taped poster board signs criticizing the police to the restaurant's windows, and wrote messages of protest and grief on the sidewalk. 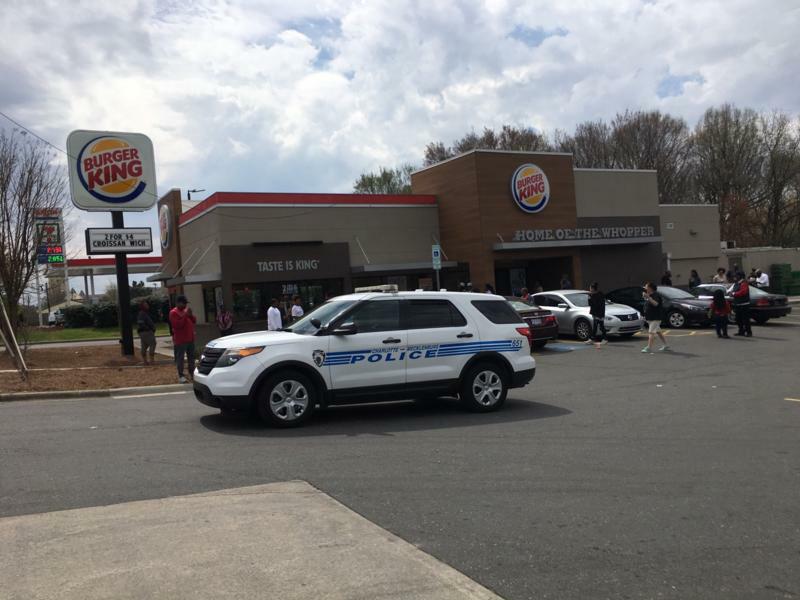 Charlotte-Mecklenburg police have identified the man who was fatally shot by an officer outside of a Burger King off Beatties Ford Road Monday morning.